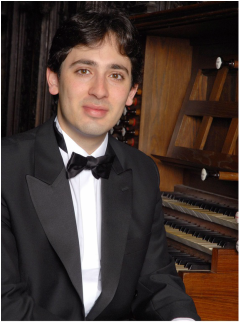 Born in 1980, Vincent Dubois is one of the finest young concert organists to appear on the world stage in many years. He is a graduate of the Conservatoire National Supérieur de Musique in Paris where he was a student of Olivier Latry. In 2002 Mr. Dubois won two major organ competitions: the Recital Gold Medal at the 2002 Calgary International Organ Competition and the Grand Prize at the 2002 International Competition of Toulouse, France. Mr. Dubois has performed in major concert venues throughout Europe, North America, Asia and the Pacific. In March 2012 Mr. Dubois was appointed Director General of the Strasbourg National and Superior Conservatory of Music in France. He is also the titular organist at the Cathedral of Soissons, a post he has held since 2001.